Bart is a great kid. Cute as a button, really smart and can chatter to anyone anything. But the one thing she doesn’t have is good co-ordination. Her school gym report did say there has been improvement in this area over the year, but she still trips over as though her shoes are on the wrong feet. To be honest her shoes are often on the wrong feet, but we try to get them corrected as soon as we see it. The last time Bart slept over at Grandma’s she came home with a graze on her nose and elbow where she had fallen off a piece of equipment in the play park. And now twice this week Bart has fallen over at school. 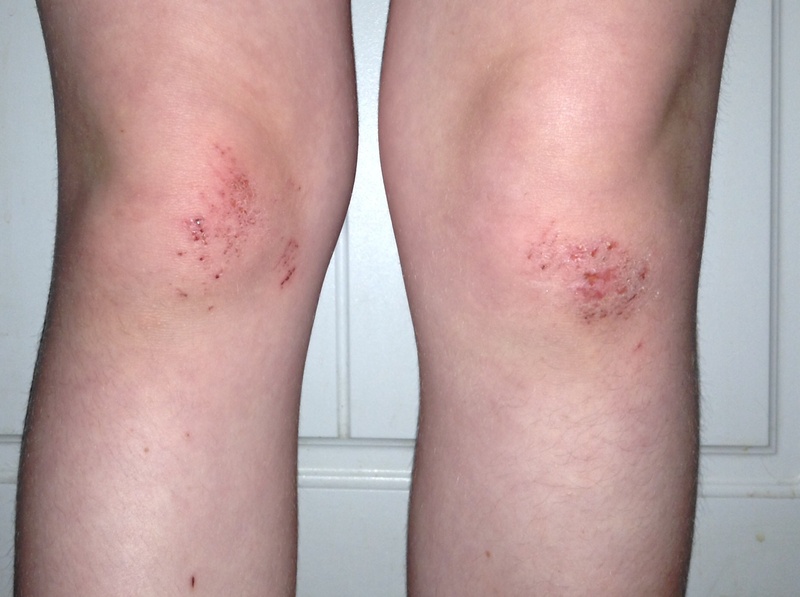 The first time was a little graze on one knee but then yesterday she got out of the car from school with a plaster on each knee barely concealing the sores and grazes underneath. But this time it is really bad. Bart’s knees have stopped working! Yes, it seems (when someone is watching) Bart’s knees won’t bend anymore. She came downstairs to breakfast this morning and had to jump down each step as her joints were locked rigid. (They were fine when she was kicking her legs under the table) And the struggle to get into the taxi to go to school was pitiful. Fiona, the taxi driver and I had a hard time holding in our laughter at her efforts to get into the car. The fact she had been chasing her sister minutes before was forgotten when a new adult was around to give sympathy for her plight. All is fine again now and the grazed knees have been forgotten in the excitement of a girly shopping trip with just the two if us.